Description Photo is in the History of the Methodist Church scrapbook; loaned by Helen Grigg. 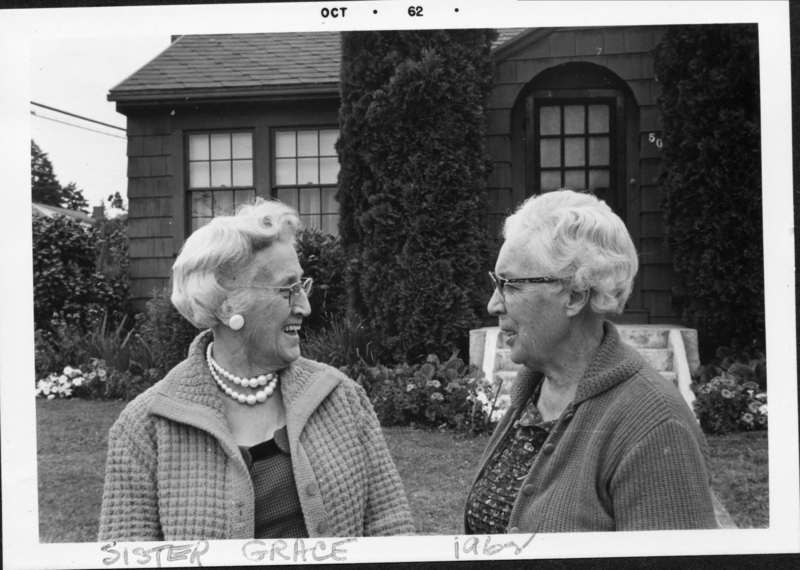 Dora Brandt and her sister Grace. [on front] sister Grace, 1962. Oct 62. House 504 6th St.